Prince Hans: A tri-colour thermal. Light pink/purple to blue to dark purple; with a red sheen. 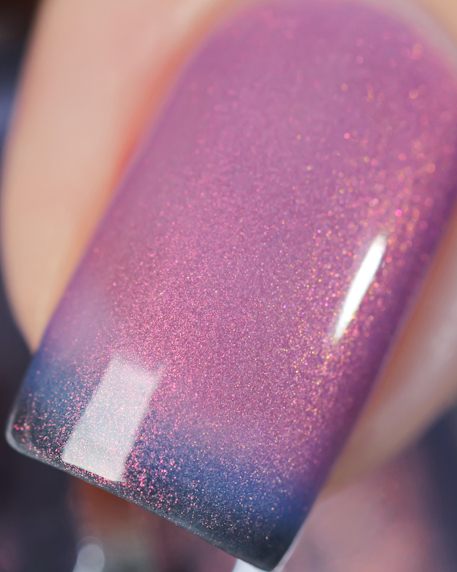 Opaque in 3-4 coats.